New Jersey School Counselor Association, Inc.
New Jersey Association for College Admission Counseling, Inc.
Kean University Counselor Education Dept. Please refer to the Workshop Descriptions for further information and detail. Coffee and available prior to check-in & registration. C-1 - SELF-CARE: IS IT JUST ONE MORE THING TO ADD TO MY TO-DO-LIST? The rising tide of social media sites such as Facebook, Twitter, and Instagram along with increasingly advanced smart phones has led to the selfie phenomenon. The instantaneous availability of feedback from peers can lead some adolescents to become selfie-obsessed and thus obsessed with achieving the perfect selfie image. As such, negative feedback from peers can be devastating to the adolescent’s self-esteem. This session will explore the concept of body image, body image dissatisfaction, and the selfie phenomenon as it relates to self-esteem and body image issues in adolescents, as well as the role of the selfie in counseling as a new tool for healing. As a school counselor, you are constantly running from place to place. You can't take your laptop with you. If you are like me you always have your phone with you so, let's take advantage of it in your school counseling program. Come find out the latest apps to help support your school counseling program. Whether you use an Apple or Android, come find how you can use your tablet for more than just notes and a calendar. Presenter: Florentina Crawford, Elementary School Counselor, Pennsauken School District. How do you take boring psychoeducational groups and make them fun? Want to make your groups more interactive and student activated? This session will provide counseling and teaching techniques to spice up your high school groups to provide students with an engaging, lively experience. Take home practical group activities and tips you can use tomorrow. The growing diversity of New Jersey’s students combined with an 85% white educator workforce has reinforced a cultural mismatch in many of our schools. School counselors are in the unique position to advocate for decisions that result in equitable outcomes for all students. This session will explore bias, culturally responsive counseling techniques, and ways to lead courageous conversations around race and equity. School Counselors have a significant role in Social Justice and Advocacy for Equity. The importance of addressing the gaps and discrepancies in opportunities for students who are often not receiving all they need and deserve is crucial and central to the school counseling profession. Many school counselors do not have 'social justice' as part of their vocabulary nor is it often recognized as a formal duty in their responsibilities; however the American School Counselor Association's Ethical Standards specifically states that "all students have the right to a school counselor who acts as a social justice advocate." But how? In this session I will review the research on this topic, demonstrate examples and provide resources on how this can be done in our day to day work. I will also tackle the uncertainties, hesitancies, deeper concerns and potential reflection opportunities that School Counselors often have when it comes to work related to equity, access, intersectional identity and disparities. We will discuss the recent legislation that expanded access to state financial aid programs to New Jersey Dreamers (how it came about, how to apply, how we can support) and we'll talk broadly about the direct services we provide to immigrant and first generation middle and high school aged students. Make the Road New Jersey is a community organization based in Elizabeth, whose goal it is to build the power of immigrant and working class families to achieve dignity and respect through community organizing, legal and support services, policy innovation and transformative education. Cyberbullying started with the basic online communication of email, instant messenger and texting. Now with more technology and availability comes the increased danger of smart phones, video messaging, tweeting, and lighting data transfer. The world of cyberbullying just keeps mutating into new and more hazardous forms. New legal cases, suicides, and laws are at the forefront of the news in an effort to keep up with the ever changing problem. Come to this session and find out what laws exist in your state and what the kids and adults are doing today and tomorrow that makes the bullying of yesterday pale in comparison. With the rising statistics of stress, anxiety and other mental health challenges among our youth, helping them develop resilience and the inner resources to self-manage has never been more essential. In this workshop you will learn short, simple evidence-based breath, movement and mindfulness activities that prepare students to cope with the challenges of life and learning. These activities are easily implemented into counseling as well as classrooms to help all students thrive. Presenter: Allison Morgan, MA, OTR, E-RYT, founder of Zensational Kid, bringing the practices of yoga and mindfulness to school communities throughout the country. How do I manage to care for myself when I am so busy caring for others? Strategies, ideas, humor and perspectives on surviving as a school counselor when the empathy bank is overdrawn. Go home with overdraft protection. The Netflix series 13 Reasons Why chronicles the experiences leading up to the suicide of a high school student and has both intrigued and shocked viewers. Now in production of its third season, the show continues to evoke strong reactions from counseling, mental health, and education professionals. Panelists will address the impact of the video series on young people and suggest what school counselors should know about 13 Reasons Why when counseling vulnerable children, teens, and their families. Katie Shirley, LPC, Assistant Professor Kean University Counseling Education Program, Researcher. This panel of school counseling directors and educational counseling professors will provide tips, advice, and strategies for landing that coveted school counseling position. Geared toward graduate students and counselors looking for new opportunities, the panel will discuss resume writing, interview skills, and how to build a portfolio. An opportunity for questions and answers will be provided at the end of the session. The need for environmental scientists is expected to rise as we are facing increased human pressures on our planet. While many are concerned about the environment, specific career pathways are often unclear, both for high school students and for counselors in selecting college programs. 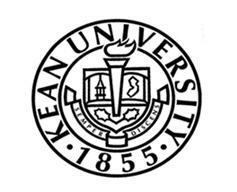 In this workshop, the Executive Director and Program Coordinator for the School of Environmental and Sustainability Sciences at Kean University will present methods of both inspiring students and directing them towards an economically and environmentally rewarding profession. The presentation will include Social Emotional resources to use with immigrant and ESL students who have just entered our school districts. The presentation will enable the counselor to advocate for a healthy transition of the newcomers to our school and country. Counselors will participate in group discussion of individual student cases and then share their insight on the child’s obvious and unseen problems. We will brainstorm possible interventions, solutions and services for the child and family, including in- school supports and assistance within our school communities. Middle and High School cases will be discussed. Presenter: Kathleeen Reilly, School Counselor, South Plainfield HS, and Counselor Educator, Kean University.